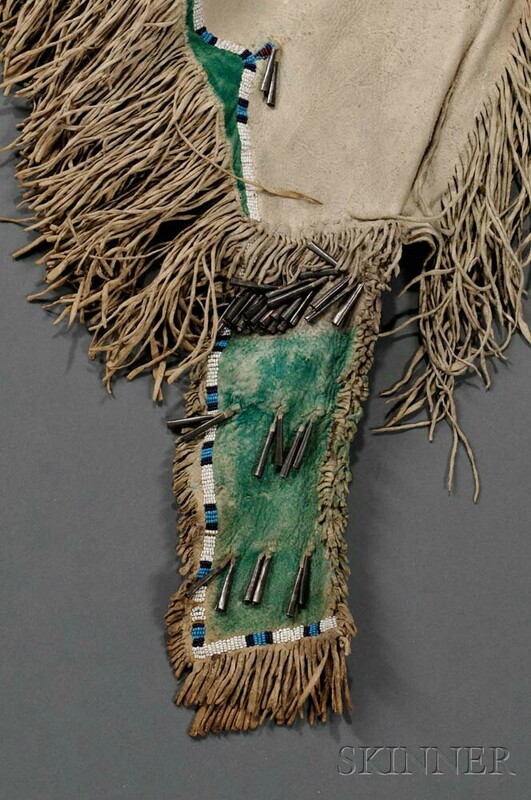 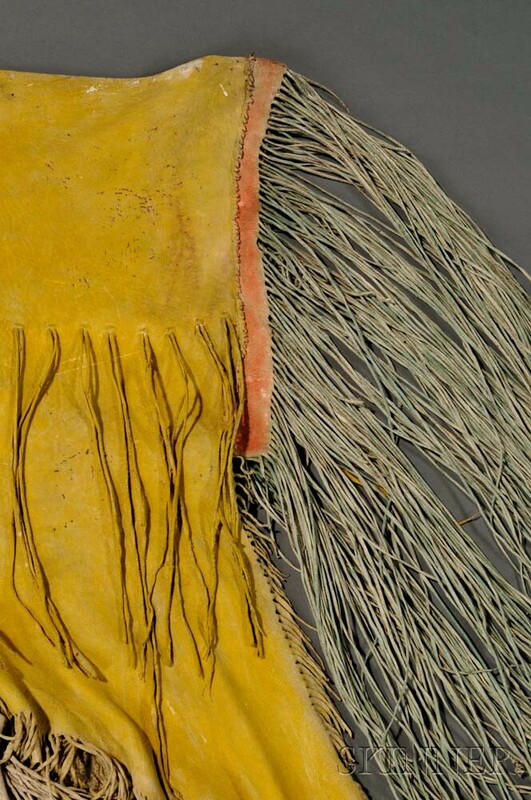 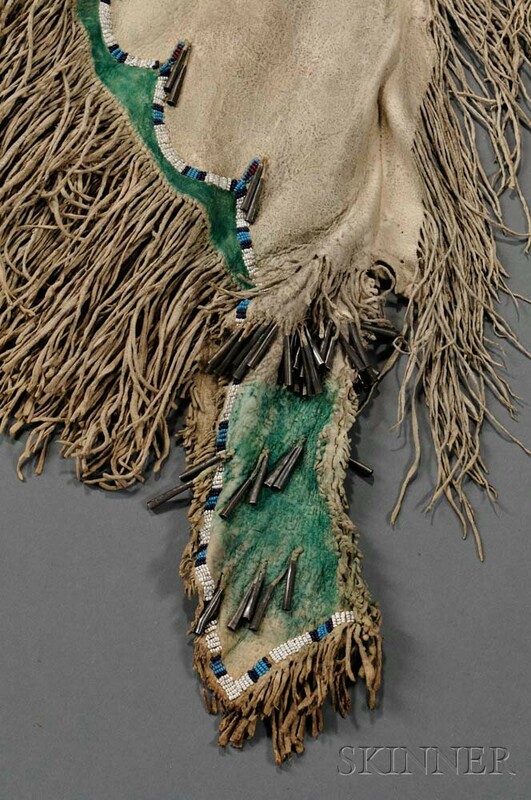 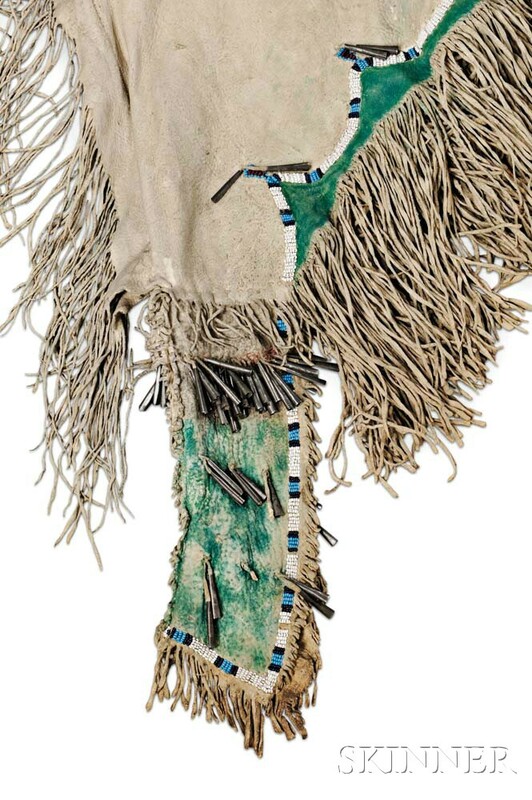 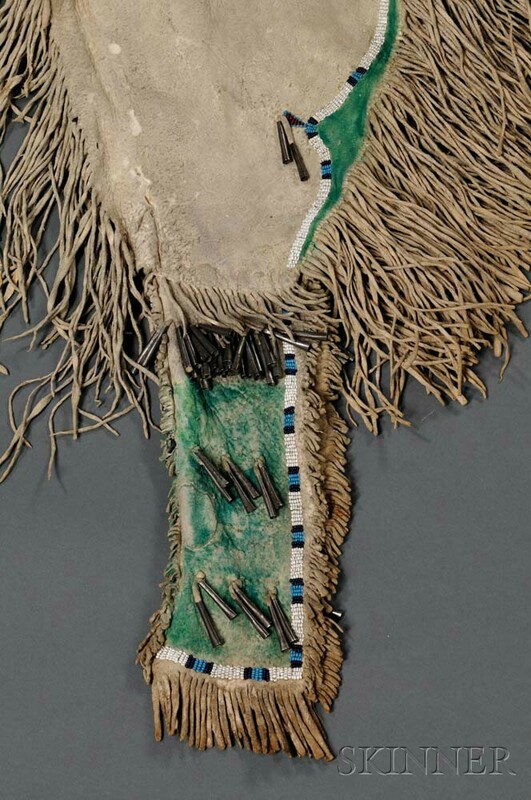 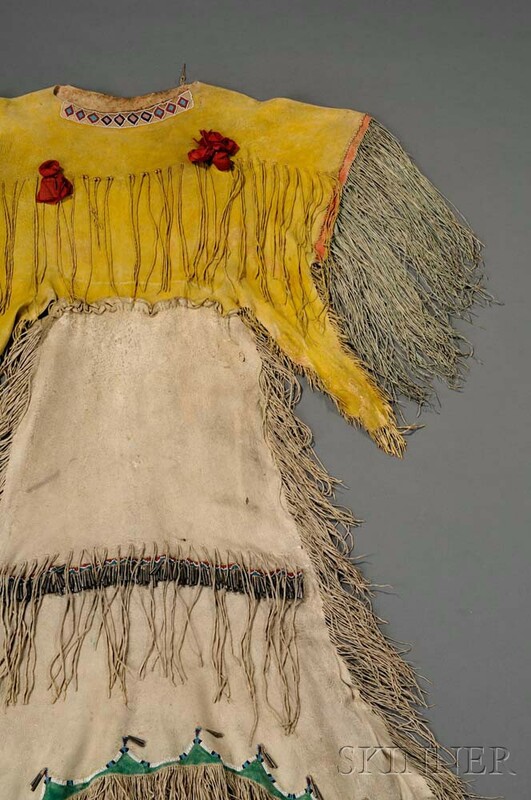 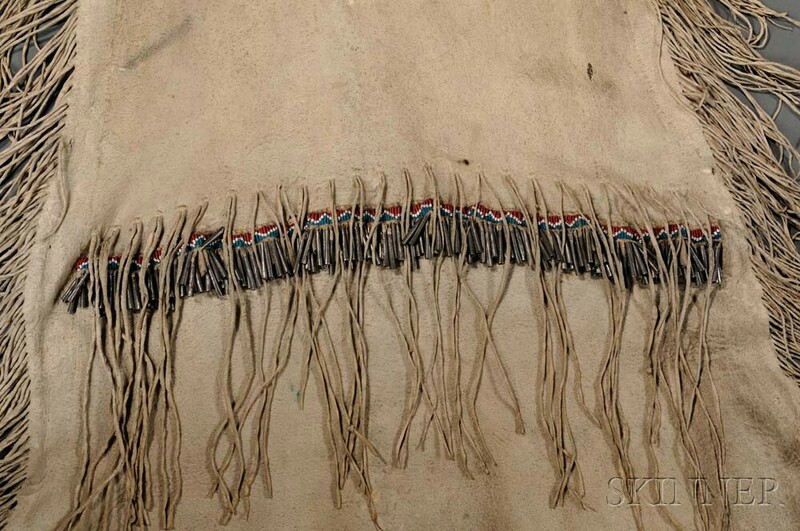 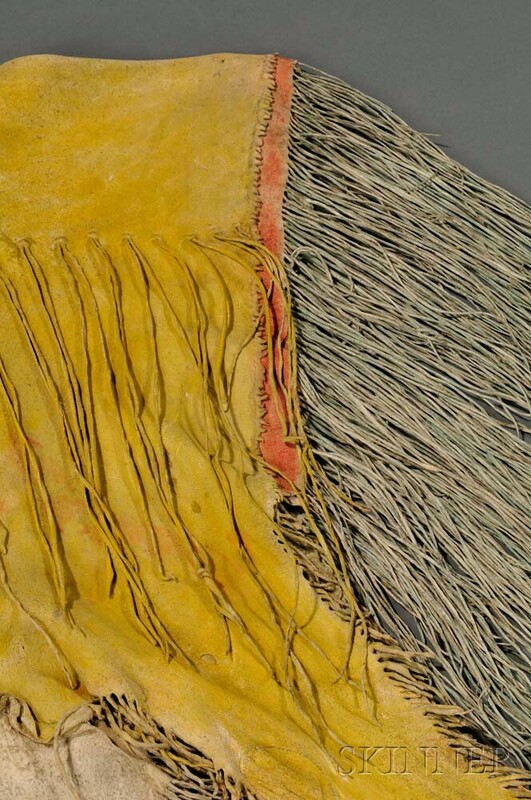 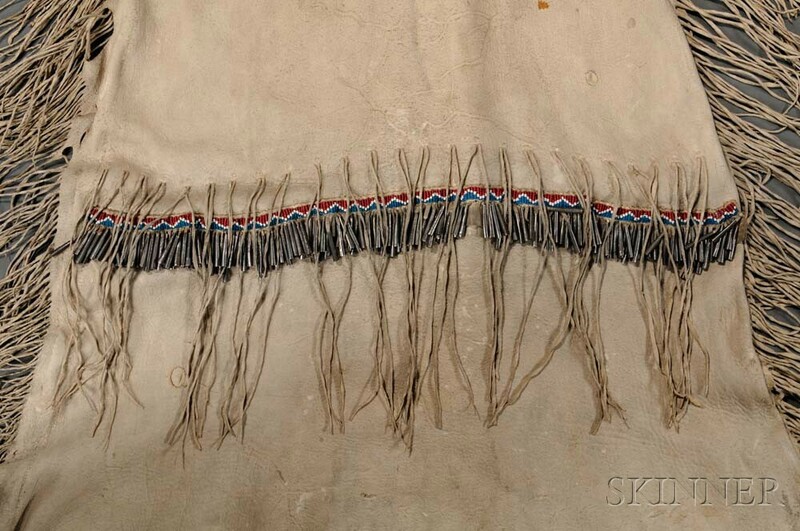 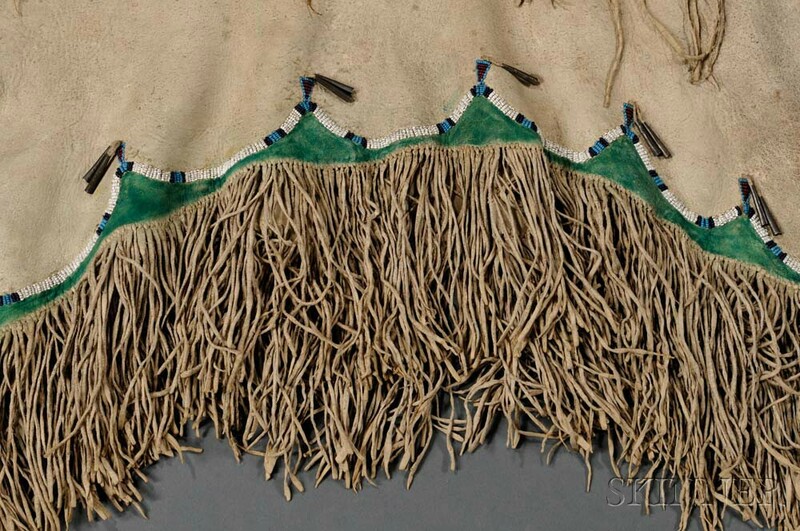 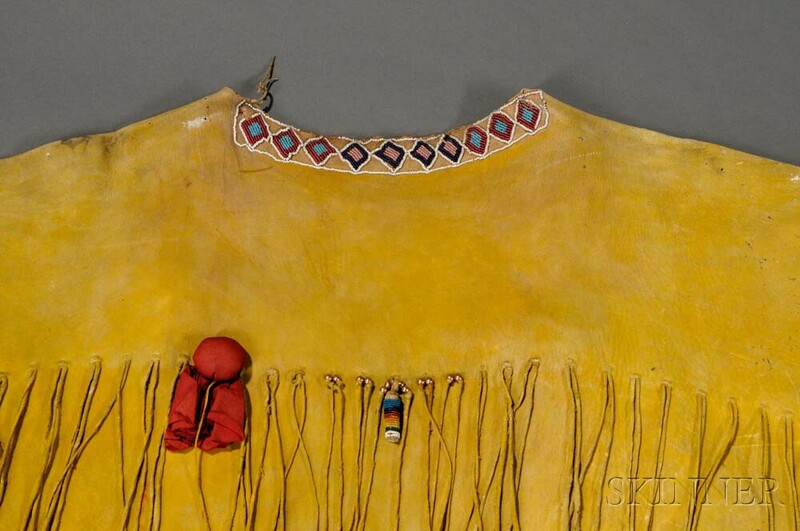 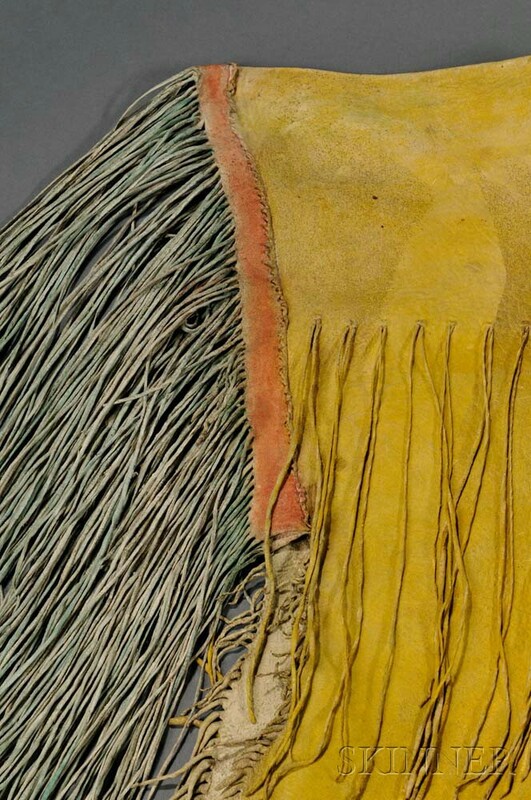 Kiowa Woman's Beaded Hide Dress, c. 1870's, painted with red, green, and yellow pigments, profusely decorated with very fine cut fringe, with multicolored beaded detail, and rows of tin cone danglers at the skirt and bottom tabs, the fringes across the top strung with gold washed metal beads, lg. 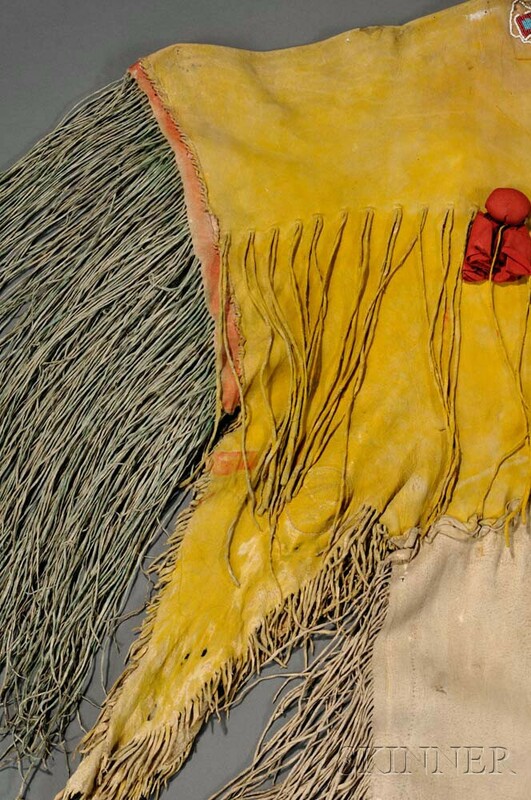 64 in. 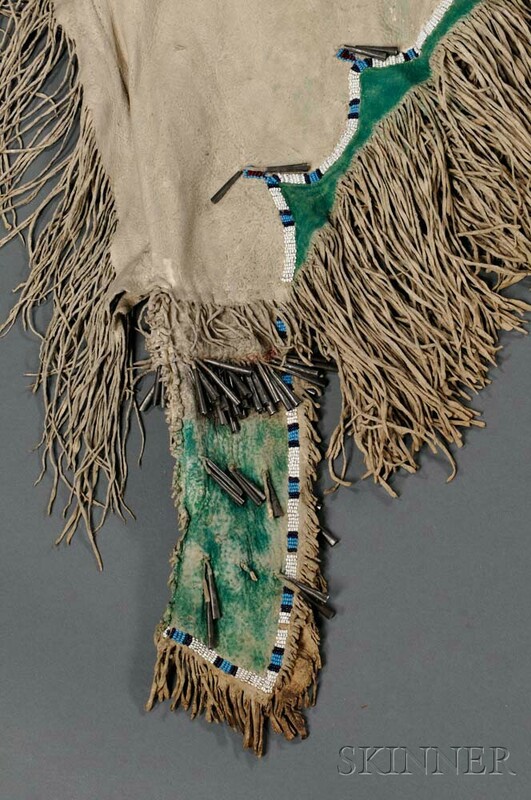 Provenance: Collection of the Philadelphia artist, Robert Riggs (1896-1972).